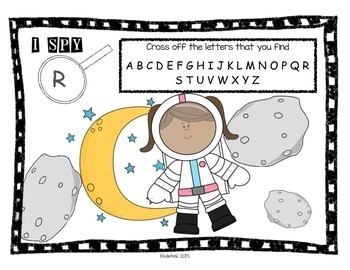 Give kids a real magnifying glass and let them hunt for letter. Each sheet covers Upper or Lower Case letters. 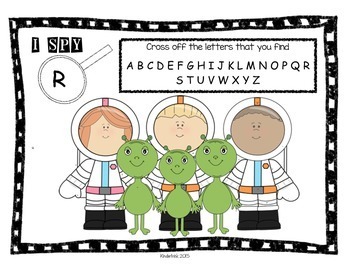 There are 4 different I SPY sheets. 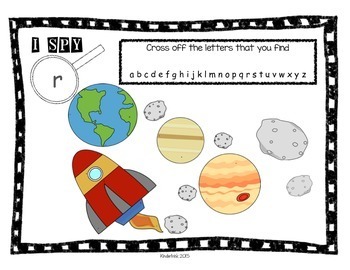 Simply print as many copies of each I SPY sheet that you will need for the literacy center. 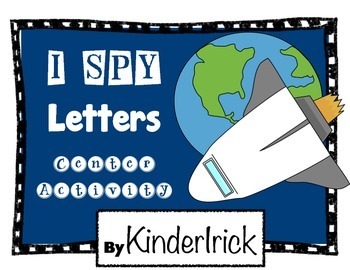 Place the I SPY sheet in a page protector and give the students dry erase markers to mark off the letters. That's it! No prep!